Pretty cool factoids about the notorious gangster. 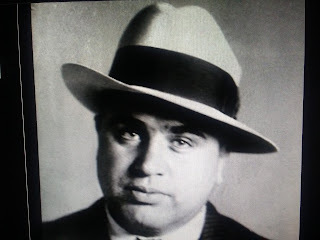 NY Post reports the local streets now home to high-end strollers and farm-to-table restaurants were once the stomping grounds of one of the country’s most infamous gangsters. Brooklyn is where Alphonse “Al” Capone got his start. The mob boss liked to claim that his parents were “American-born and so was I,” but Gabriele and Theresa Caponi (the surname was later changed) emigrated from ­Italy in 1895 and first settled near the Brooklyn Navy Yard.